Grab your sombreros and serapes and hold on tight. With Mexico’s many beautiful beaches, aquatic sports, adventure parks, and historic sites, there’s no shortage of exhilarating activities for you and your family to get swept into within three of the region’s top destinations. Considered the main gateway to El Mundo Maya (the Mayan World) and the Caribbean, Cancun is located in close proximity to legendary archaeological cities and nestled in a pristine environment of clear blue sea and sandy white beaches with remnants of ancient Mayan civilization. 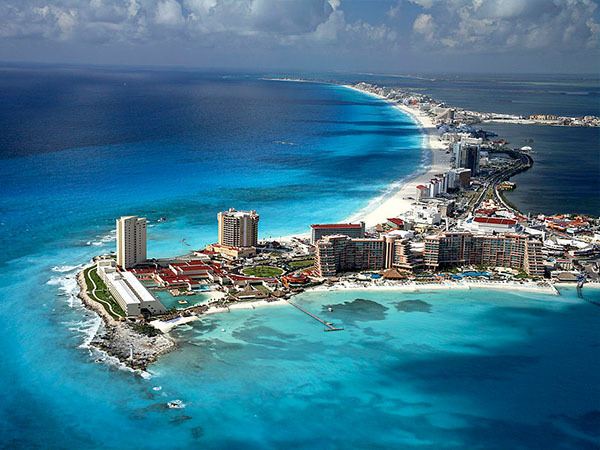 An ideal Mexican vacation spot with North American-style conveniences, Cancun offers the best of many worlds—modern and ancient, action packed and laid back—while also boasting five golf courses, incredible coral reefs for snorkeling and scuba diving, sport-fishing and jungle tours. A little piece of paradise, indeed. Imagine you and your family along the famed Malecon promenade with Puerto Vallarta’s stunning waterfront as the backdrop. As the sun sets on downtown, get into the fiesta spirit watching a band playing in the Plaza de Armas or a folkloric dance spectacle in the Los Arcos. When it comes time for sunbathing, head to the always happening Playa los Muertos (Beach of the Dead), where both locals and tourists like to flock, or go south to Playa las Animas, ideal for children due to its shallow waters, where you can rent Jet Skis, ride a banana boat or go parasailing. Fans of the film The Night of the Iguana can take a break at the Playa Mismaloya, the beach locale where the classic 1964 movie was made, or get a beginner lesson in surfing at the town of Bucerias, about 20 minutes north of Vallarta. 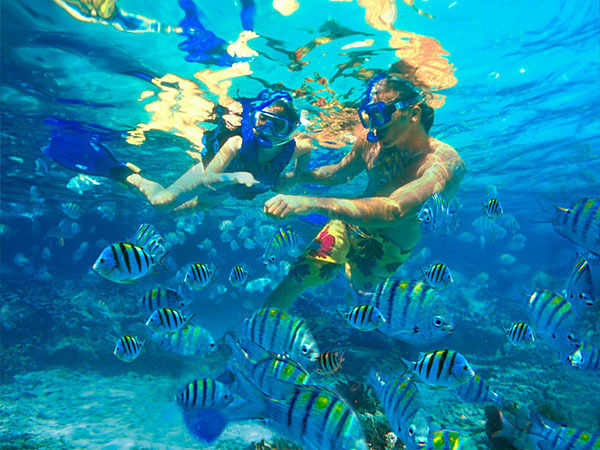 One of the world’s top destinations for scuba diving and snorkeling, dive deep into the Mayan universe, and take in the beauty of the area’s expansive coral reef system. Fun-seeking families will find plenty of exciting options by water, air and land. Soar over the jungle on 13 different zip-line circuits or hop on an ATV tour and ride through the Mayan rainforest, while making pit stops by foot exploring underground caverns, and a trip to the Riviera Maya would not be complete without a visit to the ancient Mayan ruins at Tulum, Coba and El Rey.